Pictures from DJ's promotion party for when he made Senior Master Sergeant, as well as when he was officially notified about it. 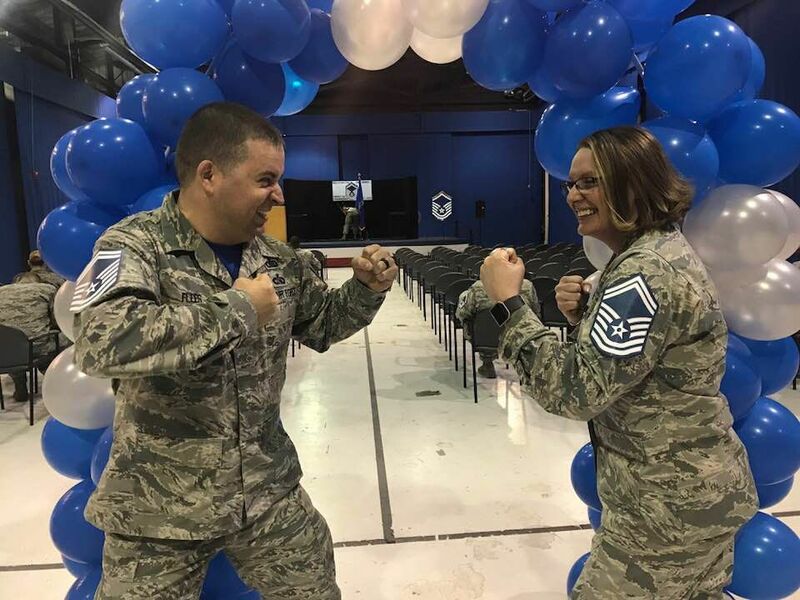 DJ and Mel Beam, the two people that made SMSgt in DJ's unit this year, face off. The backstory here is that there is a friendly feud between their flights, so of course they would fight it out.